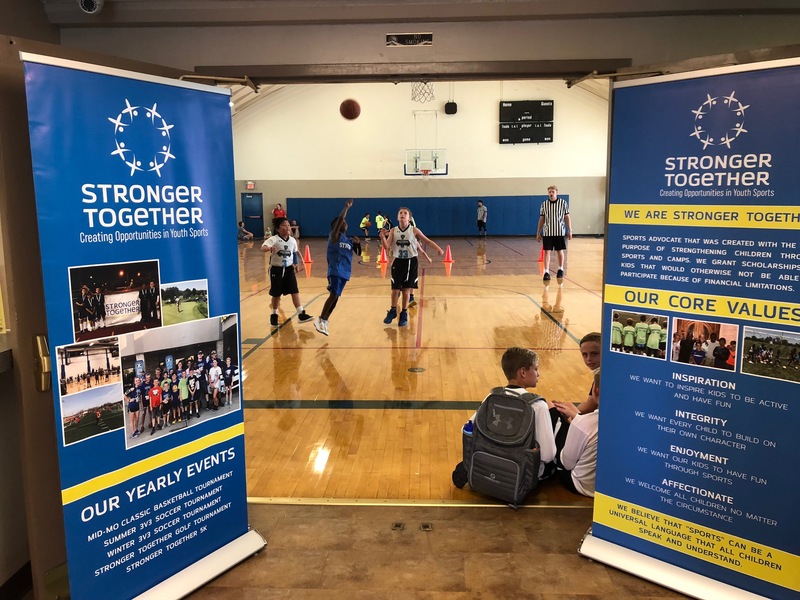 Stronger Together is a foundation that grants scholarships to children who want to participate in any youth sports program in Central Missouri. We provide an opportunity to a group of kids who wouldn’t normally be able to participate in organized sports or camps. Inspiration: We want to inspire kids to be active and have fun. Integrity: We want every child to build on their own character. Enjoyment: We want our kids to have fun through sports. BIG things happen when a kid belongs to a TEAM! Sports and Camps are the universal language that all kids can speak! We want no child left behind because they can't afford to participate in a sport or camp. Stronger Together Foundation updated their cover photo. Thank you to all the teams that participated in our 3rd annual Mid-Missouri Classic tournament. Congratulations to all the basketball players on a great weekend on the hardwood. The CoMoGives Campaign is underway to the end on December 31. This is our second year participating in the community outreach based campaign.